At Heartland Hospice Services, we have a special understanding of the health care challenges our patients, as well as their families and loved ones, may be experiencing. Through our passion for excellence, we are committed to enhancing their quality of life through our compassionate and supportive care. Heartland is dedicated to providing patients with care wherever they consider home. 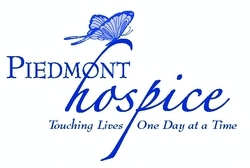 Hospice is care giving tailored to fit the patient’s and family’s unique situation. Heartland’s Approach to Caring Heartland addresses our patient’s and family’s physical, psychological and spiritual needs. The Heartland caring promises guide the philosophy of care provided to patients, ensuring that we are enriching each individual life to the fullest. Heartland promises to care for the mind, body and spirit; to provide care that is comforting and compassionate; to respect patient and family choices; to unite with community partners in care; and to be accepting and supportive of patients wherever they are in life’s journey. Our caregivers help manage pain and symptoms, enabling our patients to live their lives as fully and comfortable as possible. Social workers and spiritual counselors create a comforting environment in which patients and families are able to share their thoughts, hopes and concerns. Bereavement care provides emotional support to families who need help coping with the loss of a loved one. Heartland’s team will be happy to tell you more about Heartland’s philosophy of care and our services at any time.